What if you want to delete an already paired phone? Deleting an already paired phone is even simpler. Under Bluetooth Device List (you can get to this page by following the first few steps above), touch the phone you want to delete, and select Delete. Once you confirm the deletion, it’s gone! 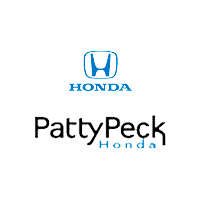 If you have any questions, feel free to contact Patty Peck Honda in Ridgeland near Jackson, Madison and Flowood at (833) 653-0116. We are ready and willing to answer any and all questions you may have.